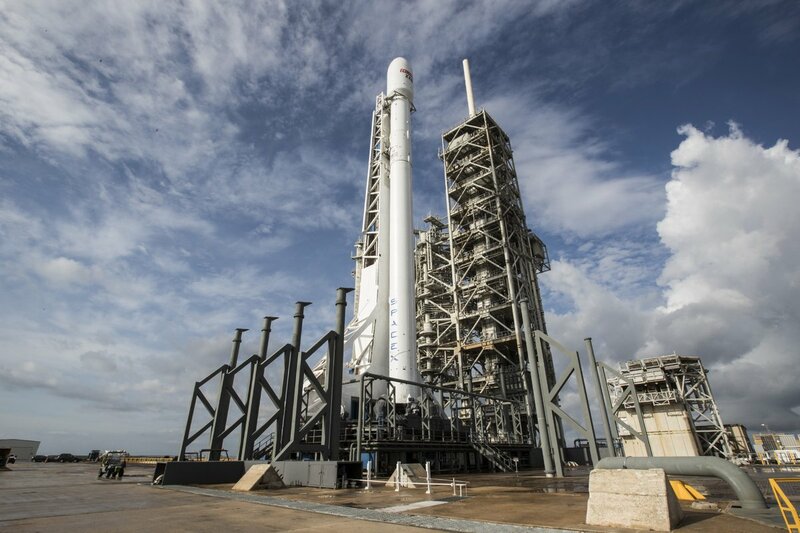 SpaceX’s Falcon 9 rocket was forced to back out of its launch countdown on Tuesday inside T-1 hour to liftoff due to strong winds taking a hold of Cape Canaveral as the result of a low pressure area moving over Florida in the overnight hours and into the day’s launch window. SpaceX did not immediately confirm when the next launch attempt will be made. The backup slot published before Tuesday’s attempt was a 2.5-hour window opening at 5:35 UTC on Thursday with a much more favorable weather forecast. 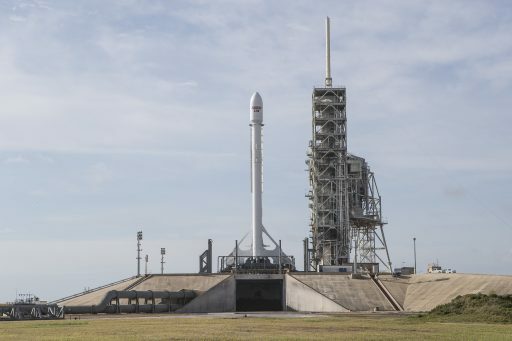 Following last Thursday’s successful Static Fire Test, Falcon 9 spent the weekend inside the Horizontal Integration Facility just 400 meters from the launch pad, meeting its heavy passenger that requires the rocket to fly in its legless, expendable configuration. 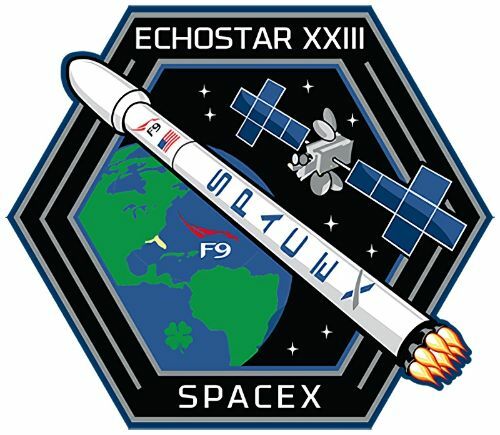 Once EchoStar-23 had taken its place atop the rocket, Falcon 9 returned to the launch pad Monday morning to be placed in its vertical liftoff position. A series of fit checks were performed over the course of the day as this was the first Falcon 9 with payload fairing to reach Launch Complex 39A after the rocket’s maiden flight from the Kennedy Space Center was topped by a Dragon, requiring a slightly different setup in the upper section of the Transporter-Erector-Launcher. These fit checks provided good results and Falcon 9 was permitted to head into countdown operations, starting with the activation of the rocket’s systems for a multi-hour testing campaign. 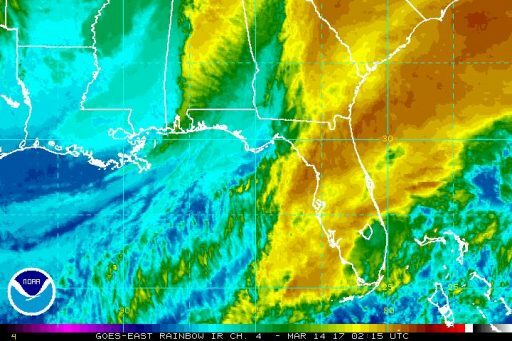 Weather had been a concern throughout the night as a low pressure area moved in from the Gulf of Mexico, bringing showers and clouds that were expected to linger over the pad through at least the opening of the night’s long launch window. However, clouds took a favorable trend around two hours prior to the opening of the window, but ground winds became stronger than anticipated, getting close to the 30kts limit for sustained winds. The launch team studied the possibility of pushing the night’s T-0 into the window, but decided to make an attempt at the opening of the window given the favorable trend seen with the cloud cover and the danger of strengthening winds. 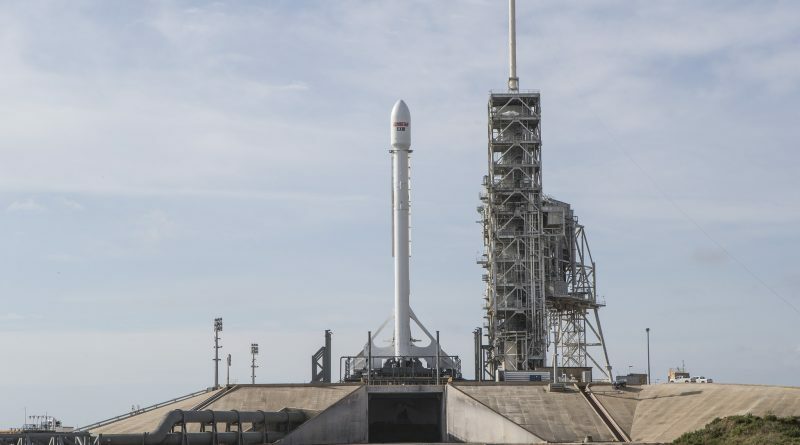 The automatic countdown sequencer kicked in at T-70 minutes to guide the various systems on the rocket and the launch pad through the complex sequence of loading over 500 metric tons of chilled Rocket Propellant-1 and sub-cooled Liquid Oxygen into the two-stage vehicle. Tanking was proceeding as planned when, at approximately T-40 minutes, a Scrub was called by the launch team due to unfavorable winds. Ground winds were gusting to 30kts at the time of the scrub while winds aloft were showing a pattern with a strong shear in the low-levels and a maximum speed of 130kts in the higher reaches of the atmosphere where Falcon 9 would go through the most dynamic environments encountered during its climb. Upper Level Winds are not part of the range weather criteria and the percentage of cooperative weather issued prior to launch. Instead, winds aloft are examined under vehicle-specific flight dynamics analysis to ensure forces encountered by the ascending launch vehicle do not exceed its structural limits. Tuesday’s scrub was the result of an unfavorable combination of ground wind direction and speed. After the scrub was called, the Launch Team went into safing steps to back out of the countdown and de-tank the launch vehicle while the spacecraft team returned EchoStar-23 to a safe configuration for another two days on the ground. Thursday’s backup window is SpaceX’s last chance before a fairly congested period on the Eastern Range with Delta IV and Atlas V rockets standing by for liftoff NET Friday and Tuesday to lift a military communications satellite and send cargo to the International Space Station. Weather for Thursday’s opportunity is expected to be much better with only a 10% chance of violation due to ground winds. The low pressure area will move out by Tuesday morning and the strong ground winds seen during the count should dissipate on Wednesday to create a favorable pattern for the overnight countdown and launch opportunity. Upper level winds will peak at 110kts at 42,000 feet, according to Monday’s launch forecast issued by the 45th Weather Squadron. The heavyweight EchoStar 23 satellite has a launch mass of around five and a half metric tons and is destined for an initial position of 45 degrees West in Geostationary Orbit from where it will beam TV programming and data services to Brazil, operating under a government license. Built by Space Systems/Loral, the satellite has been designed to support a multi-mission capability from eight different orbital locations – giving operator EchoStar a powerful tool to quickly respond to changing market demands by relocating the satellite’s capacity. EchoStar-23 hosts 32 Ku-Band transponders plus Ka- and S-Band components with the Ku-Band payload in charge of direct-to-home broadcasting while the S- and Ka-band terminals deliver data and networking services. The satellite originally started out as a joint-program between EchoStar and China that was initiated in 2006 with the goal of delivering mobile video services for the 2008 Olympics in Beijing. 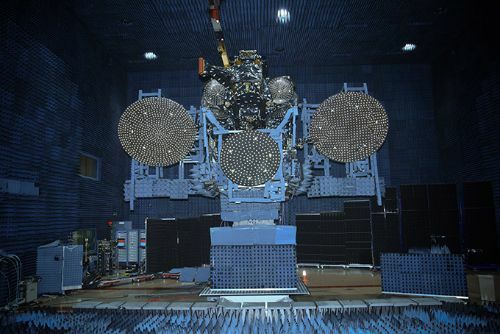 After the project stalled, the CMBStar satellite platform went into long-term storage before being resurrected when the EchoStar-23 satellite was ordered in 2014. 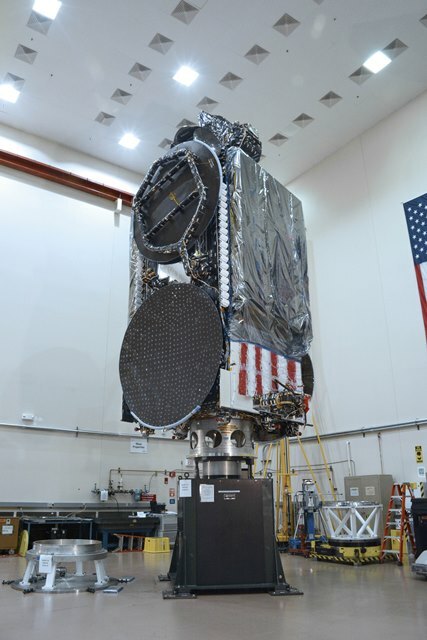 Some pressure has built to get EchoStar 23 into orbit since its initial operations phase is covered by a Brazilian government license and EchoStar is subject to regulatory fines should service from the satellite not be available by the end of the second quarter. 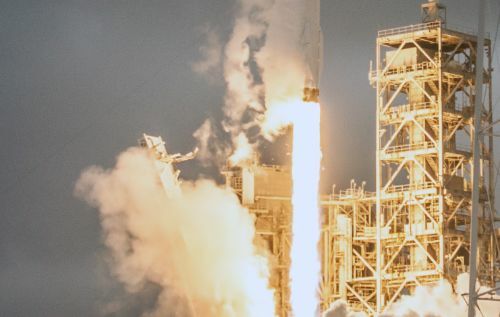 Copyright © 2019 Falcon 9 – EchoStar-23. All rights reserved.